Our sweet Zoi has been diagnosed with Acute Myeloid Leukemia and we are devastated by this event. She is a bubbly 18 month old who rules the playground and brings light to all of us. Her streak of stubbornness will beat this monster that is trying to bring her down and she will have a lifetime to tell stories of how she slayed a dragon at such young age. 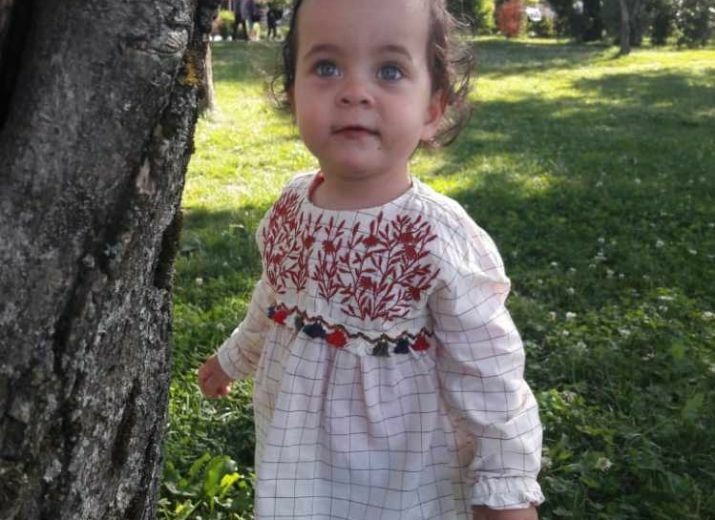 We are a young family from Albania with very little means, but just like any parents will do all we can to save our little girl. Zoi is in Italy, where she is undergoing treatment and her road to recovery is difficult and long. We are pleading with all to help us as much as they can financially in this dire situation. Any amount however small will help. We will be forever grateful to the generosity of all family and strangers and hope that one day Zoi will pay this kindness forward! ****For US Donors, if your donation gets denied the 1st time, please notify your financial institution to authorize the payment, otherwise it will be flagged as suspicious and denied again. Apologies for the confusion, this is our first time crossing continents and we are very grateful for all your donations and patience. we would like to thank you all for your generosity, well wishes and prayers. We are very moved by your response to our plea and will always be grateful. Zoi has started her treatment in Italy and so far is doing great. With the neverending energy and joy that only a child can have, she is facing everyday, as a new challenge at the playground, head on and fearless. We look forward to sharing some positive news after her 1st round of treatment. Zoi sherim ye shpejte zemerr ne jemi me ty! Uroj sherim te shpejte per vogelushen. Shpresoj qe Zoi te behet mire dhe te shijoje nje jete te gjate . Bekimet e perendise qofshin me ju ! Do jete ne lutjet tona ! Praying for Zoi .... god bless her.